(Audio Oren Lyons) Chief Oren Lyons, in an interview with Bill Moyers. Dr. Martha Crouch understands our responsibility to the future. As long ago as 1990, Dr. Crouch, a well respected plant molecular biologist, published a paper in The Plant Cell (April, pages 275-277) discussing basic problems associated with monoculture and plant genetic engineering that were and are being funded by Monsanto and other multinational agricultural corporations. Dr. Crouch’s concerns are easy to understand (let me know if you want a copy, I have one here) but apparently nobody was listening. What she predicted is happening – and worse. In her paper, she used the example of palm oil. 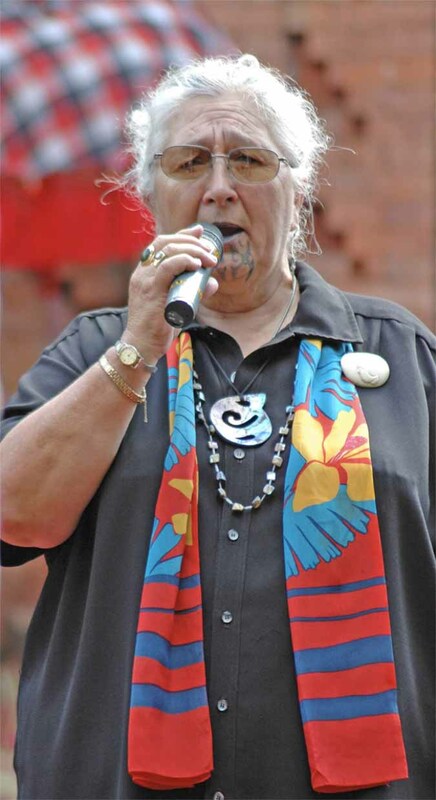 Fourteen years later, in 2004, I had the pleasure of meeting a Maori elder, Pauline Tangiori. Maori is an indigenous group of people in New Zealand. Pauline described to me how a group of Monsanto salesmen had misled her people into giving over their property for a Monsanto palm oil plantation. And so that’s what I have been trying to do ever since. It turns out to be harder than it sounds. It takes at least two to communicate. At least one of them has to listen and the other one has to learn how to say it. Even then, it turns out that pretty much nobody wants to hear about the real realities of biology. Most people here in the USA would rather believe the lies, and in the 22 years since Dr. Crouch withdrew from her research career, and the seven years since I got my assignment from Pauline, the technologies, economics and legal tactics of Monsanto and other similar organizations are turning out probably to be more massively and permanently harmful to the ecosystem than any other single human activity except excessive growth. Maybe it’s time we all started to do some critical listening. But technology or religion in the absence of good basic science is suicidal. And the only thing powerful enough to stop the corposystem is the will of the people. Pauline says it like it is.